Today’s *Honeymoon Heaven* features a *Magnificent Mauritius*. The final stop on our amazing trip after *Cape Town* and *Sabi Sands Safari* was a stay at Four Seasons Mauritius at Anahita. This super swanky resort is located in the South East of Mauritius. It is simply divine to swoon over and even more impressive to be there in person amidst the sunshine, sea, sand and lush mountainous scenery. *Garden Pool Villa* – The luxury villa is adorned with tropical touches. We loved the plunge pool and daybed overlooking our own lush private garden. The outdoor seating area was a real bonus to be able to have in-villa dining in the sunshine. *Beach* – The resort has three beautiful private beaches. *Restaurants* – The resort hosts an array of culinary delights across a range of restaurant styles: Beau Champ – serving breakfast and offering contemporary grill cuisine for dinner; Bambou – a beachside restaurant offering pan-Asian cuisine and themed food evenings, Aquapazza – al fresco dining overlooking the lagoon serving Italian cuisine and to finish cocktails in the slick O-Bar lounge. *Swimming Pool* – The main pool was lined on both sides with palm trees and had a fantastic position looking out to the beach. *Spa* – The visit to the spa was perfect for relaxation – we had a Mauritian fusion massage and left feeling very chilled. *Water Sports* – The resort offers a range of complimentary water sports, including snorkelling, waterskiing, pedalo boating and windsurfing. *Boat Trips* – The hotel offer sailing and snorkelling trips as well as tours of neighbouring islands. *Island Visit* – The resort has its own private island which presents stunning stretches of golden sands, crystal clear waters and is the perfect spot for a picnic. * Black River Gorges National Park – A gorgeous forest with fantastic walks and an incredible viewpoint overlooking the beautiful lush green hills of Mauritius. * National Botanic Gardens – located in Pamplemousse the gardens are filled with a vast assortment of tropical plants, including giant water lilies and palm trees. * Chamarel Seven Coloured Earth – The impressive shifting striped sand dunes range from red, brown, violet, green, blue, purple and yellow. * Ganga Talao – This is the most sacred Hindu site in Mauritius featuring numerous statues and temples positioned around the holy lake temple. * Giant Lord Shiva Statue – The imposing statue stands 108 feet tall at the entrance to sacred lake and is the tallest statue in Mauritius. * Alexandra Falls – the viewpoint for this pretty waterfall is found in the Black River Gorges and provides great photo opportunities. * Port Louis – the island’s capital is well worth a visit and hosts the lively harbour and Champ de Mars – the oldest racecourse in the Indian Ocean. 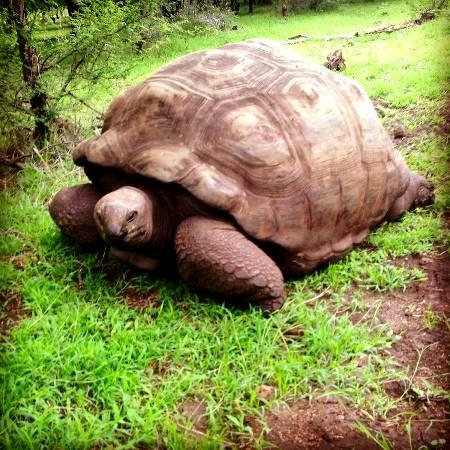 * Casela Nature Park – this colourful park is perfect for a lovely stroll and enhanced by the huge number of birds and giant tortoises which just roam around the greenery. It also overlooks the beautiful Mauritian landscape. * Mauritius Glass Gallery – an artisan glass blowing factory that creates beautiful glass pieces. The glass blowing demonstrations are fascinating to watch and the end results are very impressive! * Bagatelle – the mall of Mauritius is bustling with shops, market stalls and waterfront dining. Our honeymoon stay at The Four Seasons Mauritius at Anahita was absolutely superb: luxurious accommodation, delicious food, super helpful staff and the most gorgeous scenery.It was the perfect end to our heavenly honeymoon!